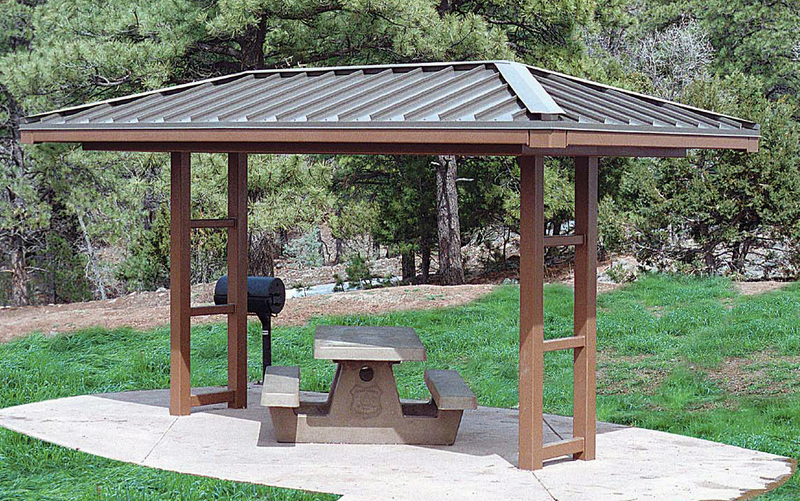 Mingus shade structure model designed with versatility in mind. The Mingus Model is designed with versatility in mind – from center court to mountaintop shelter to downtown bus stop. 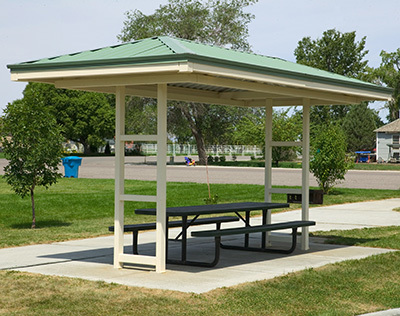 Columns can support a wide variety of proprietary equipment and accessories, such as signage, telephones or flip chairs, and the hip roof enhances an already sturdy design. 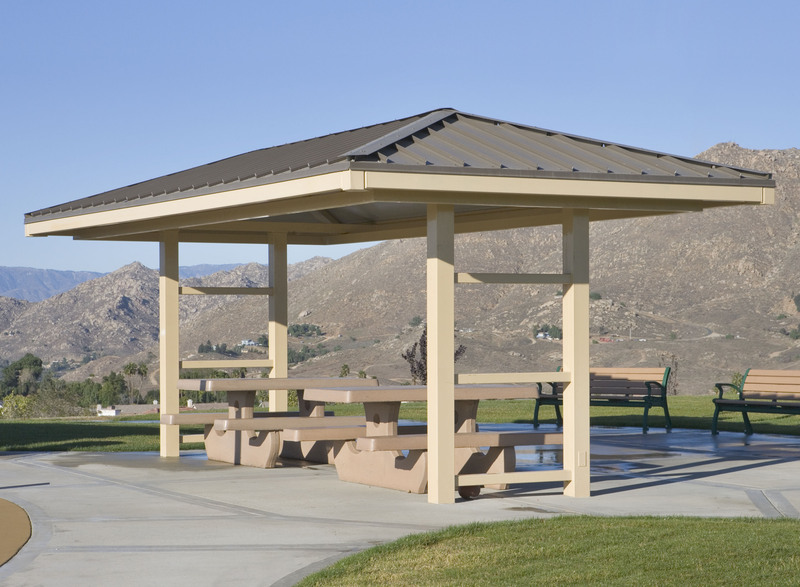 The Mingus shade structure model can also be constructed to fit narrow spaces as needed. Chair and other equipment are supplied by others. Sycamore Highlands Park, Riverside, CA: This 12′ x 24′ model serves as a resting spot for outdoor basketball players. Shown with Cool Weathered Copper 12″ o.c. standing seam roof and tubular steel fascia, which is standard on all Mingus models.